Summer time - every day from 4:00 AM until 10:00 PM. Winter time - every day from 4:00 AM until 9:00 PM. Regarding Muslim holidays, there may be shifts of one or two days. It is recommended to check the exact time in advance. On the days when the Cave of the Patriarchs is closed to non-Muslims, it is still possible to visit, and pray outside at the Seventh Step garden. This is the location where Jews prayed during the 700 years the complex was off limits to all non-Muslims starting with the Mamluke period. 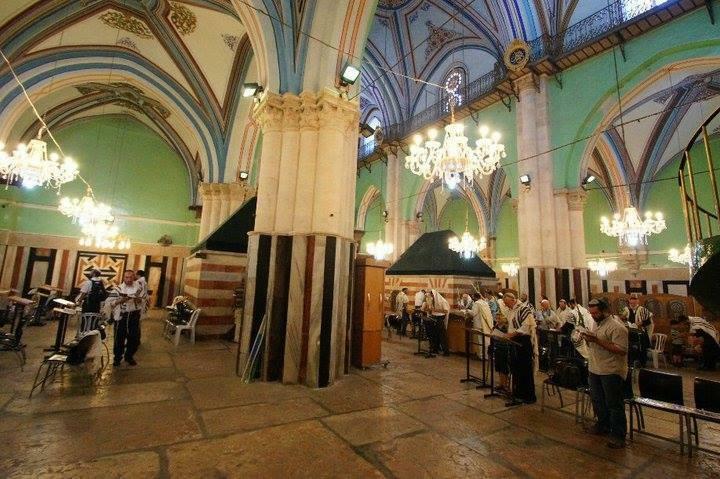 This arrangement has been coordinated for the past 20 years between the Muslim Waqf and the Israeli government. During these days, Jewish prayer books, desks, chairs, etc. are removed and store, where as on the Muslim side, the carpets are rolled up. Most holidays go smoothly with coordination between the IDF, Wafq and emergency medical services but in the past, during Muslim holidays vandalism has taken place and mezuzahs have been removed and destroyed. For any additional inquiry and for coordinating events and celebrations, the Cave of the Patriarchs staff is at your service 050-647-7776.